Thomas J. McInerney is the Chairman & CEO of ING Insurance Americas and also serves on the ING Group Executive Board. He is responsible for ING’s wealth management, retirement services, insurance and investment businesses in the Americas, and also oversees the global coordination of ING Investment Management. 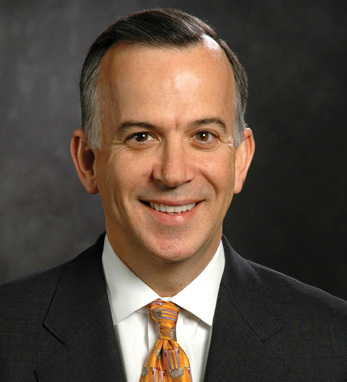 McInerney was president of Aetna Financial Services and joined ING after they acquired Aetna Financial in December 2000. After graduating with honors from Colgate University in 1978 with a Bachelor of Arts degree in Economics, McInerney received a Master of Business Administration degree, with a concentration in Finance and Investments, from the Tuck School of Business at Dartmouth College in 1982. A fourth-generation Irish-American with roots in Counties Clare and Cork, McInerney’s great-grandparents, both maternal and paternal, came to the United States in the 1840’s and 50’s working on the railroads in New Haven, the brass mills in Waterbury, and the cable mills in upstate New York.